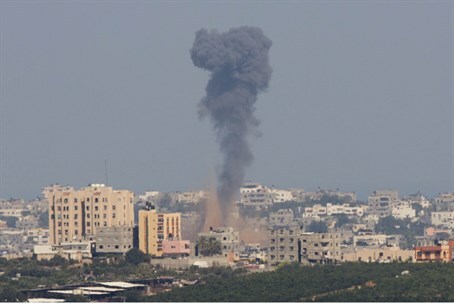 The Israel Air Force called off an airstrike in Gaza on Thursday when the pilot realized that children were near his target. The IDF Spokesperson’s Unit has uploaded a video which shows how the IDF calls off Gaza airstrikes upon realizing that there are innocent civilians in the area. In this video, showing a planned airstrike from Thursday, the airstrike was cancelled when the pilot realized that children were near his target. During the current escalation, Hamas has openly boasted about the "success" of its strategy of using civilians as human shields, and the IDF has published extensive evidence of the practice. Hamas has been encouraging as many noncombatants as possible to "protect" its positions with their bodies.